Scuola Elementare Antonio Gramsci was the fourth school that we visited. Pupils were sat mainly in rows. They all completed the same work at the same time. There was a lot of copying from the board. We were able to talk to the pupils who were beginning to learn English. After yet another delicious lunch we were invited to talk to the people in charge of education in the Bologna region. A few years ago Italy shut all its special schools. Now any pupils who have Special Educational Needs are included in main stream schools, with the support of a trained teacher as one-to-one support. This support can be full time or a set number of hours per week. 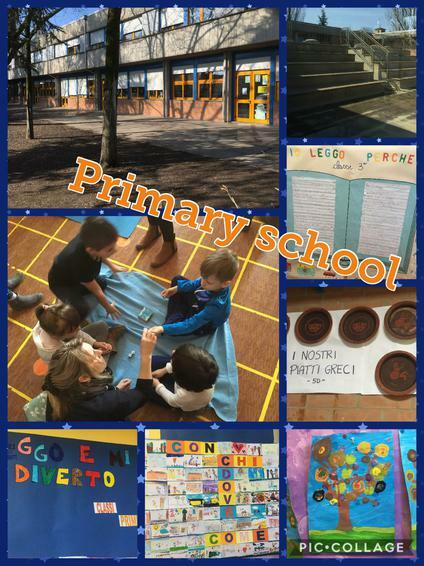 There is no special provision for pupils who do not speak English but with several trained teachers in each class the Italians feel that they can cope. There might not be any Teaching Assistants in Italy but with two or three teachers per class there is time for preparation work during the school day. Some teachers told us that they only teach for 4 hours per day for 4 days of the week and 6 hours for the 5th day; as well as lunch cover (the teacher's meal is paid for by the school). After talking with teachers, we discovered that they were paid less than teachers in the UK and had to complete lunch duty for the two hour lunch sessions that pupils enjoyed each day.